Life of Muslims in Non Muslim Countries: Russia ~ Islam My Ultimate Decision . In Russia, there are regions where the population is traditionally composed of Muslims. These are the republics of the North Caucasus (Ingushetia, Chechnya, Dagestan, Kabardino-Balkaria, Karachay-Cherkessia), as well as Tatarstan and Bashkortostan. The Muslim Spiritual Authority, Ufa. Islam is a part of Russian historical heritage, and is subsidized by the Russian government.The position of Islam as a major Russian religion, alongside Orthodox Christianity, dates from the time of Catherine the Great, who sponsored Islamic clerics and scholarship through the Orenburg Assembly. The Cathedral Mosque is Moscow’s oldest mosques, 107 years to be exact, is one of the five mosques of Moscow. During the communist regime, while many mosques were destroyed, the Cathedral Mosque survived and has undergone reconstruction that now makes it the biggest in Europe. On its inaugural function, which was also attended by the Turkish President Mr Erdogan, the Russian President said: The renovation of the mosque has given a magnificent modern new look worthy of the capital of our united, multi-ethnic and multi-confessional country. 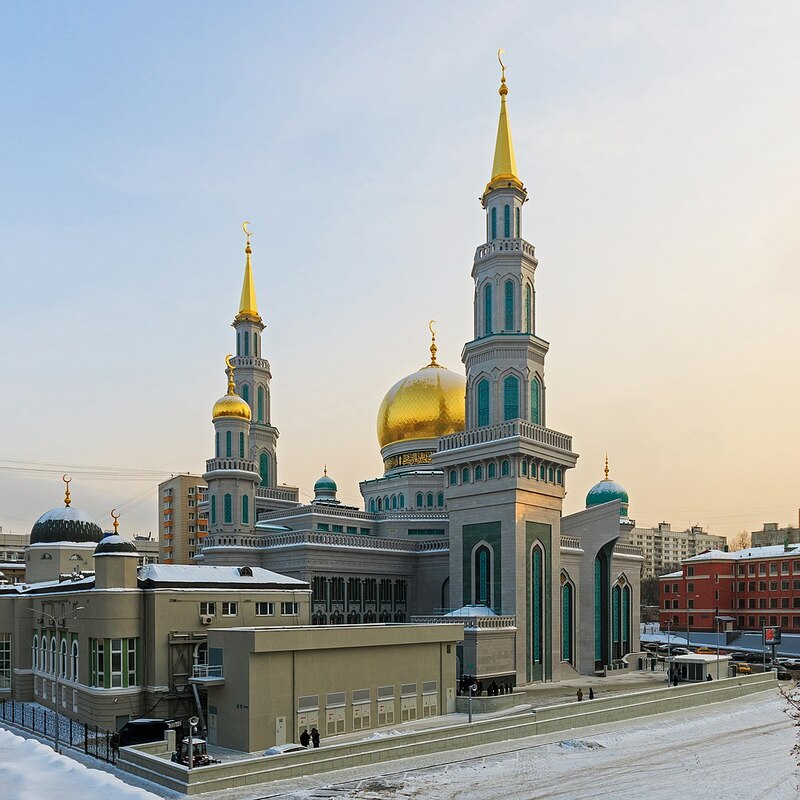 This new mosque is worthy of Russia, in which, I want to stress, Islam, under our country’s law, is one of Russia’s traditional religions, with millions of our citizens counting themselves among its followers.